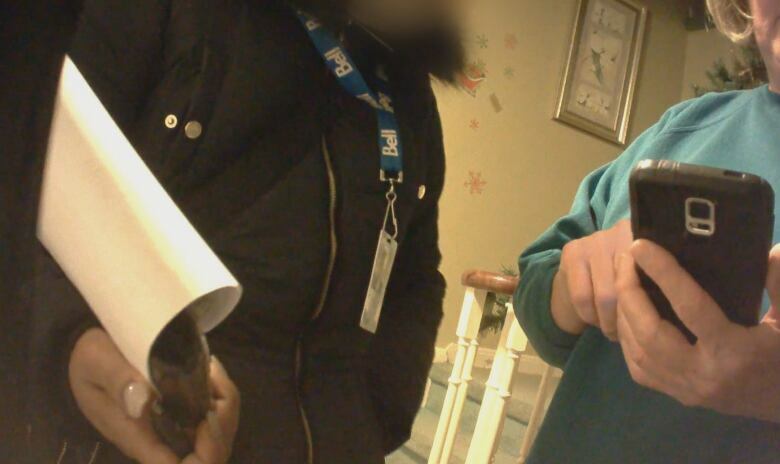 Marketplace and Go Public teamed up for a hidden camera investigation into Canada’s largest telecom, capturing deceiving sales pitches for Bell as door-to-door sales reps repeatedly misled customers. As CBC's hidden cameras rolled, sales reps knocked on door after door — misrepresenting monthly prices, promo deals, internet speeds and Bell's "fibre optic network" reach, often using misinformation and omission of important facts to dupe customers. The investigation was prompted by frustrated Bell customers who contacted CBC after reading a series of stories about high pressure sales and unethical sales tactics at Canada's major telecoms. CBC requested an interview with Bell, to discuss the hidden camera findings. After several weeks of negotiation, Bell declined to speak on camera and instead sent a statement. "The examples of the sales practices you provided are in no way aligned with Bell's commitment to providing the best customer experience possible," wrote spokesperson Nathan Gibson. "We apologize to anyone who may have been adversely affected by this conduct." Our undercover producer joined a team of sales reps in Mississauga, Ont., selling Bell services door-to-door. The reps are employed by Abdelhadi's company, Mox1 Business Solutions, but carry Bell ID tags, wear Bell jackets and have leads provided by Bell. They earn their pay almost entirely on commission, but Abdelhadi told our producer it's easy to make money selling Bell. Sales reps — mostly 20-somethings — can be in the field seven days a week. Before they fan out to residential neighbourhoods, Abdelhadi gives a daily pep talk. The pressure is on, to sell. "Who likes money?" he asks. "We got so much money on the f--king table!" Our producer shadowed some of the company's top salespeople as they went door-to-door selling Bell Fibe TV, internet and home phone — recording the pitches agents made to potential customers for "bundling" services (buying all three). One of the doors they knocked on was Rhona Carlton's, where the sales rep guaranteed that her monthly price would never go up. "Your 'forever price' — the maximum Bell can ever charge you — is $189," she promised. Carlton signed up, without being told that Bell prices can't be "guaranteed" because a clause in the terms of service allows the telecom to increase prices to cover various expenses, as reported earlier this week. We later made our own house call to Carlton, who is now in a two-year contract with a $150 termination fee if she cancels during the first year. She's not impressed the sales rep never mentioned that prices could increase. "They have to train their salespeople to give the real picture of what it is they're selling," Carlton said. During our producer's stint job-shadowing, sales reps were documented repeatedly giving customers misinformation about price. The agents, who are expected to knock on about 50 doors a night, also told customers that a first-year promotional deal — a discount off that so called "forever" price — could be easily renewed when it was about to expire. The sales rep at Carlton's house offered her a deal for her first year with Bell, and even claimed that after that promotion was up, she might get a better price. "We will renegotiate you guys for $130, lower or similar," she said. Similar promises were routinely made to other customers, but the CBC has heard from Bell call centre staff who say those promotions are to attract new customers, so they often can't make good on that promise. During training, our producer is told that a good way to hook customers is to ask them to do a speed test on their phone. "Ninety-nine out of 100 times, their internet speed is not what they're paying for," says a trainer. Out in the field, sales agents ask homeowners to run a Google speed test, as a way of showing that they're not getting the speeds their current provider was promising. When a sales rep asked Carlton to do that speed test, it showed that her download speed was just 3.89 Mbps. "You're not getting what you're paying for. That's what I'm letting you know, right?" the rep told her. She promised Carlton that if she switched to Bell, she'd get minimum download speeds of 50 Mbps on all her devices. Internet experts say they're concerned with speed tests being used as a sales tactic in this way, because there are numerous reasons speeds can vary throughout the day, and different tests can show markedly different results. Bell's own contract says that speeds may vary. After Carlton had Bell installed in her house, Marketplace ran the same speed test the sales rep used — it hadn't improved. Using Bell's recommended speed test, results were better, but still short of the minimum that was promised. "They're selling it [speed] incorrectly to the consumer," said Carlton. 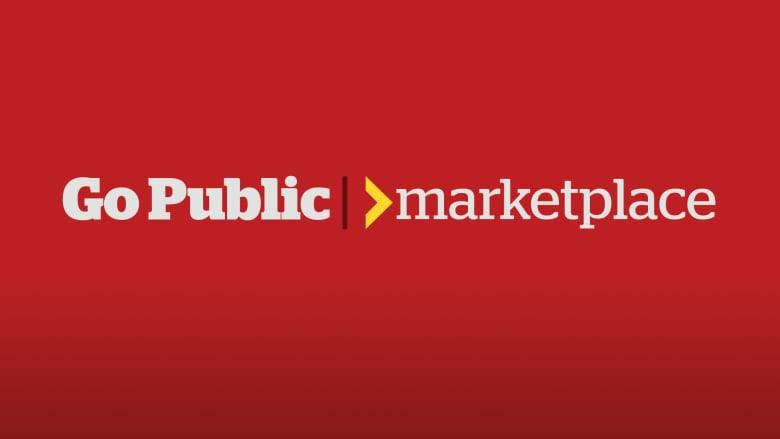 "It's not fair to the consumer, to sell it that way." In Canada, internet speeds are usually advertised as "up to" a certain speed. But the Ottawa-based consumer advocacy organization the Public Interest Advocacy Centre (PIAC) says speeds at the high end of the range are rarely achieved, and shouldn't be guaranteed at the door. "In our general experience, no company ever achieves their theoretical maximum," says PIAC executive director John Lawford. PIAC is calling for companies to advertise speeds that are more in line with what an average consumer would experience on a day to day basis, as is the case in the U.K. and Australia. One of the main pitches on the porch involved touting Bell's fibre optic network for its Fibe TV and internet services. Fibre optics is the most advanced internet technology on the market, and allows for rapid transmission of data by light through fibreglass cables instead of traditional copper cables. Sales reps repeatedly told potential customers that Bell had recently upgraded a whole neighbourhood to fibre optics. People like Carlton assumed that that meant they were getting fibre optic technology right to their homes, but in most neighbourhoods our undercover producer was sent to, Bell fibre optic cables only went to a box known as a "node" located nearby — or possibly several streets away — before continuing to consumers' homes via copper cables. This type of connection can't deliver the same performance as a true all-fibre connection right to the home. One sales rep went further, telling a homeowner, "We literally give you a private dedicated line … it's fibre optics." That same rep encouraged our undercover producer to, "Just say everything is fibre optics." 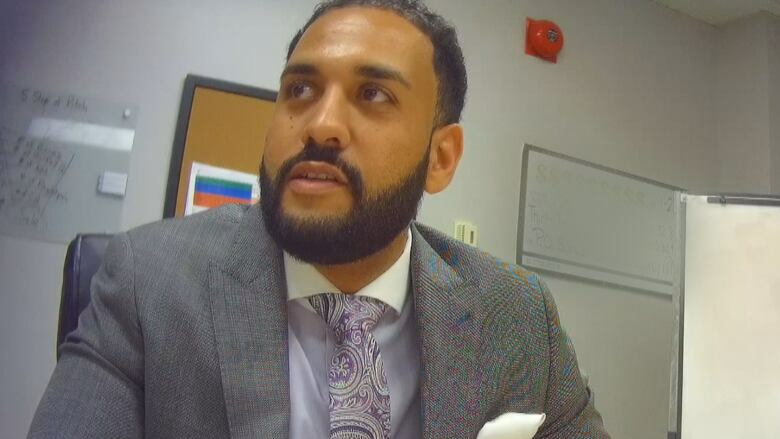 Lawford reviewed some of CBC's hidden camera footage and said it points to the need for Canada's telecom regulator to step in. He believes there's a national problem with sales practices in the telecom sector and is urging the CRTC to hold a public inquiry. 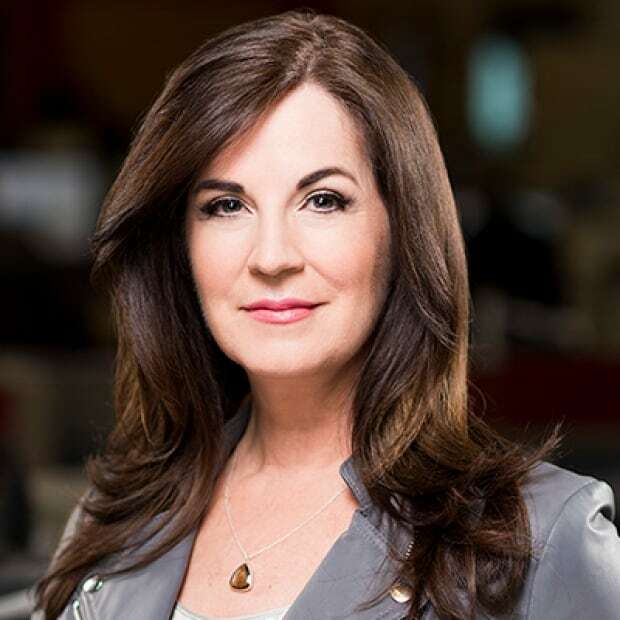 So far, though, the regulator has rejected that idea, telling CBC that consumers who feel they've been misled should "first try to resolve the issue with their service provider" before escalating their complaint to the Commission for Complaints for Telecom-Television Services. CBC requested an interview with Abdelhadi, the head of Mox1, to respond to our findings of misleading sales tactics. He declined, so we caught up with him outside his office, where he repeatedly said we should "Talk to Bell." 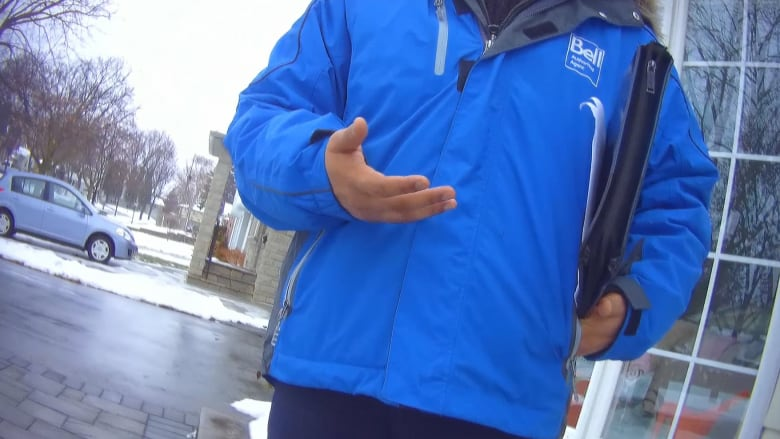 In its statement to CBC, Bell said it "implemented an immediate corrective training and compliance action" to improve sales practices, and that Abdelhadi and his sales team will no longer be peddling Bell products at the door, due to "breaches of Bell's policies." The telecom giant added, "Customers with concerns can contact us anytime at 310-BELL." Rhona Carlton has a message of her own for Bell. "Don't create somebody who's an unhappy customer right up front. Because that's what's happened." A previous version of this story mistakenly said Bell uses copper coaxial cables in some neighbourhoods to connect homes to its fibre optic nodes. In fact, it uses copper wire cables, but they are not coaxial cables.